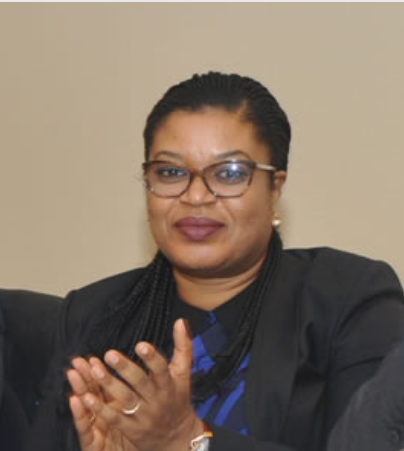 The Federal Government of Nigeria has extended the appointment of Ms Abimbola Alale as Managing Director and Chief Executive Officer of NIGCOMSAT for another four-year term. The government-owned satellite services provider announced the extension of the term of the NIGCOMSAT MD whose office is responsible for the overall running of the organisation to achieving its mission, vision and strategic objectives. NIGCOMSAT Ltd is a satellite communications service provider wholly-owned by the Federal Government of Nigeria providing secured broadband, broadcast network and ancillary services in Nigeria, Africa and beyond. The company, incorporated on April 4, 2006, currently manages and operates Nigeria’s communication satellite – NigComSat – 1R. NIGCOMSAT, incorporated on April 4, 2006, currently manages and operates Nigeria’s communication satellite – NigComSat – 1R. Abimbola Alale who became the only African on the board of Space Generation Advisory Council last year has been listed as one of the top women in the African space Industry. She has pursued an active career in the Space Sector for over seventeen years, a career that began at the National Space Research and Development Agency (NASRDA) where, as the Assistant Project Manager. She was part of the team that championed the manufacture and launch of the first sub- Saharan African communication satellite, NigComSat-1 in May 2007. Former President Goodluck Jonathan initially appointed her in 2015 as Chief Executive Officer for Nigerian Communications Satellite following the removal of former CEO, Engineer Ahmed Timasaniyu. Abimbola H. Alale holds a postgraduate degree in Space Studies and an MBA degree from the International Space University, Strasbourg, France. Abimbola Alale actively worked on some national priority projects such as the NigComSat-1, NigComSat-1R projects and the establishment of a National Direct-to-Home Digital Transmission Centre. NIGCOMSAT Ltd, under Ms Abimbola Alale’s leadership, is expected to attain the milestone of full commercialization of the company, the company says. “Our broadband service connects customers in parts of Africa and Asia providing multiple solutions to their communication needs, on the Ku-band, C-band and Ka-band platforms on NigComSat-1R”, according to NIGCOMSAT.